When I go to restaurants or even into cafes, I expect to get my money's worth. I expect to fill my stomach with good food. With my favorite restaurants, I always end up leaving satisfied. Mostly because of the talented chefs behind the counter, who actually care about their craft and the reputation that comes with it. It's what you'd normally expect for the many average restaurants out there in the world. I never try a new restaurant or cafe without looking up their customer feedbacks. A good restaurant rating usually gives people the confidence to try something new. I look up the feedbacks because I don't want to waste my time eating at a bad restaurant who doesn't really care about you, but only your money. With bad food, there's a more likely chance that the service might be bad as well. When a restaurant or cafe has no diners, the place usually ends up closing down. The exception to this rule is if the place is a theme restaurant, but it seems that theme cafes are getting away with it because they have one thing that the average cafe restaurant doesn't have... a gimmick. 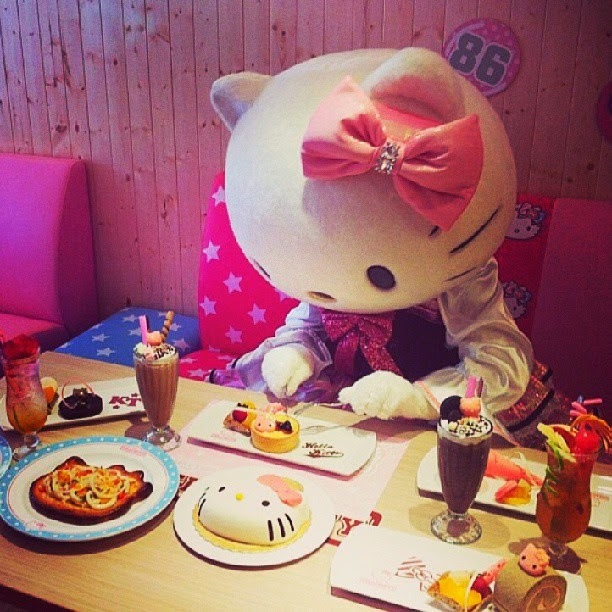 Before I got into collecting Sanrio, I have never heard of theme cafe restaurants because there was none from where I live in Los Angeles. 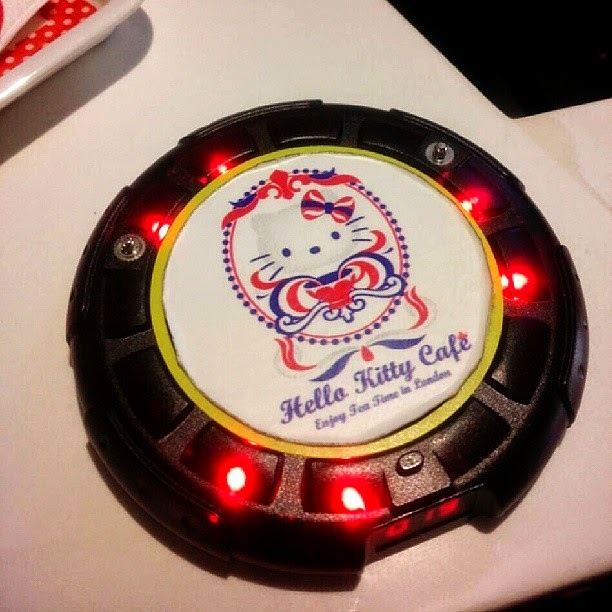 The idea of a cafe restaurant based around a character like Hello Kitty or Barbie was very different from the norm. By using a pop culture icon, these cafe restaurants are able to draw in tourists to their place of business. Many curious diners are more interested in the themed decor than if the food is good or not. These theme cafe restaurants hope to use the popular character obsession to feed their pockets rather than caring about their craft and reputation in the food industry. By going to these theme cafe restaurants, you're basically paying an entrance fee to see the decor and use their very cute themed dinnerware. When one steps into a theme restaurant, one would think that the food art creations would be as impressive as the matching decor. If you've never been to a theme cafe, think again. If theme restaurant owners are in the food business for genuine reasons, then they would have invested in creating food art to impress the fans. Seeing that the food isn't their top priority, when will die hard fans ever get a theme restaurant where the gourmet pastry chefs truly cared about your taste buds and the art of creating masterpieces? For now, you can only rely on individual bakers for great looking food character creations.